Starting your child or grandchild in coin collecting can lead them to a life-long enjoyable hobby. While you might often read about coins selling for hundreds of thousands of dollars, and even millions of dollars, starting a child out in coin collecting can be very inexpensive. For the purposes of this article, we will assume that the young ones in question are less than 10 years old. Starting a young child out is more than just pointing them in the right direction. If you want this to be successful, you as the adult will have to show them the enthusiasm that one can get from collecting coins. And if you are not already a collector, you just may learn something in the process and become hooked yourself. So, how do you get started? Since we are talking about young children, we do not want to spend a lot of money. So, let’s start where most collectors started. 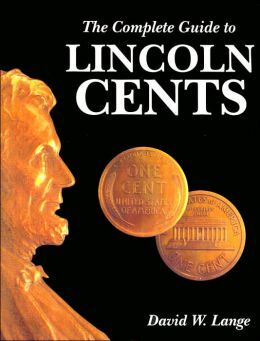 Lincoln Cents. Yep, that often ignored denomination that you see in penny jars, on the floor, in wishing wells, etc. Unbeknown to some, some Lincoln cents can be worth hundreds of dollars. But we are not going to start there. We are going to start with two simple Whitman Folders. The first folder will be the folder with the dates 1941 through 1974. The 2nd folder will be from 1975 thought 2009. Please note, the dates may vary in the 2nd folder depending on when the folder was manufactured. With these two folders, your budding coin collector will be able to take almost any coin from circulation and fill hole. You can find these at most Barnes and Noble , or any coin store. If you live in a metro area, you likely have a coin store nearby; just consult your yellow pages. Since we are concentrating on Lincoln Cents, you will want to tell the beginning collector some history on the Lincoln Cent. For example, the first Lincoln Cent was made over 100 years ago in 1909. You will also need to explain about the three different mints used to produce cents and where the Mint mark is. You can look here for fun facts about the cent. Be sure to talk about the history of Lincoln, etc. 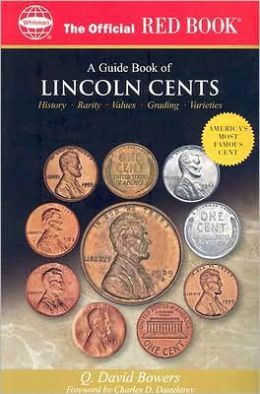 You can easily tie history into Lincoln Cent collecting. Now that you have your folders, you know doubt have tens, if not hundreds of pennies around the house, or maybe the child’s piggy bank. Gather them up and see how many holes you can fill. If you have more than one child, each child should have their own folders to see who can fill them up first. Many times the holes in the folders are just not quite big enough. You may have to help your child with putting in some of the coins. Be sure to show them how to properly handle a coin. While these are likely only worth face value, better to begin now. Your child may also begin to ask why some coins are a nice bright red while others are brown, which will be your chance to talk about condition of the coins. Once you have exhausted your home supply of pennies, you can take it a step further. If you are really up for a challenge, go to the bank and get several rolls of pennies. Sometimes retail stores like grocery stores will also sell you a few rolls. But if you are up for a big challenge, go to the bank and buy a box of pennies for $25.00. What a great family activity for a rainy or cold snowy day. What does not go into the folders you can re-roll and spend. One thing your coin collector(s) will notice is that they will see many dates and Mint Marks over and over. You can explain that in any given year, the mintages of cents varied for a variety of reasons. They will also come to realize that there are many dates that are not all that common. Certainly many of the Wheat Cents will not be found in circulation. But imagine the potential joy a child may have if they find a pre 1940 coin. Speaking from experience, if you buy a box of pennies, you will likely come across a few wheat cents and sometimes they are pre 1940. As your collector comes across repeated dates, you can talk to the beginning collector about the condition of the coins. If you find a coin that is nicer than the one in the folder, you can replace it. After several afternoons/evenings of filling holes in your folder, the child may become interested in the wheat cents. Since you will not likely find them in circulation, a trip to the coin store may be in order. If you get to this point, you may very well have a coin collector in the making.